A glorious pair of hand textured matching wedding bands, designed in collaboration with a very happy couple to celebrate their special Wedding ceremony. This stunning pair of matching wedding rings were designed in collaboration with our clients who requested a pair of contemporary matching wedding bands with a textured finish. 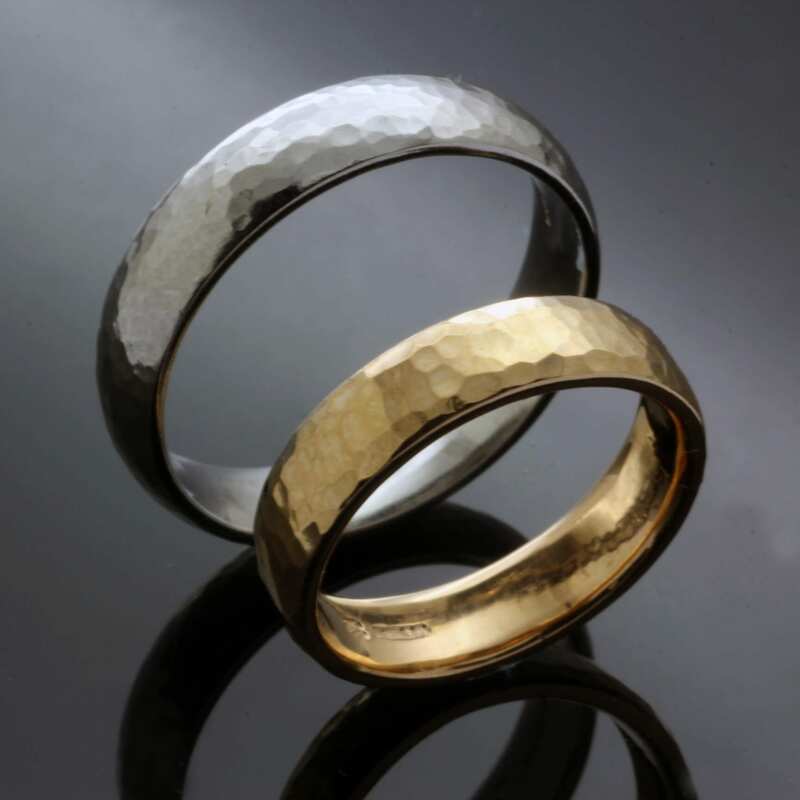 Julian Stephens created a pair of identical court wedding bands, handcrafted from solid 22ct Yellow Gold and solid Palladium. 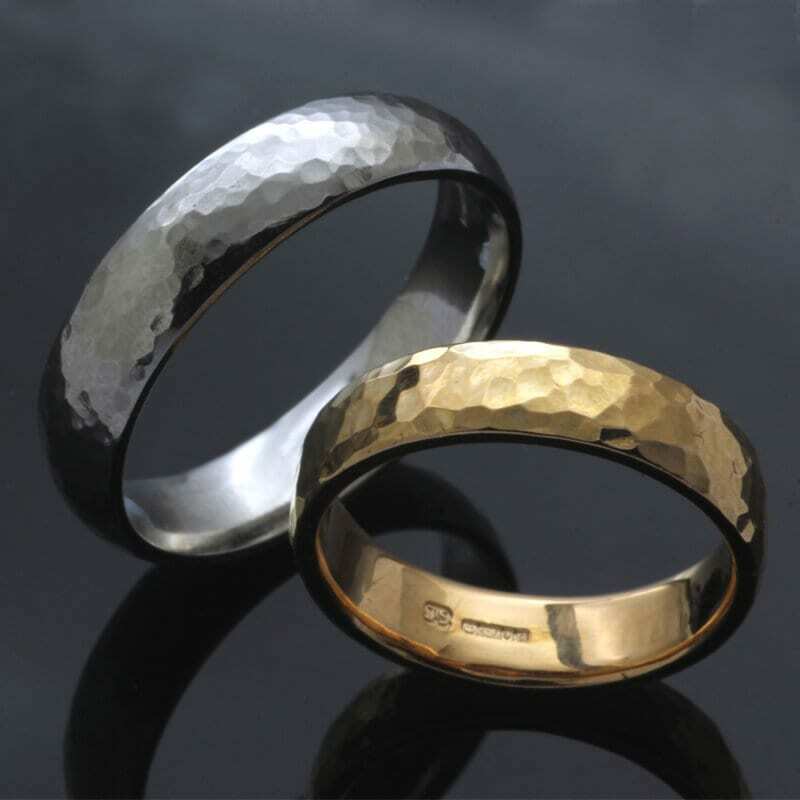 Each wedding band is then lovingly completed with a beautiful polished finish for added glittering sparkle and both rings proudly bear Julian Stephens exclusive makers mark and Hallmarking as a sign of their quality and craftsmanship.